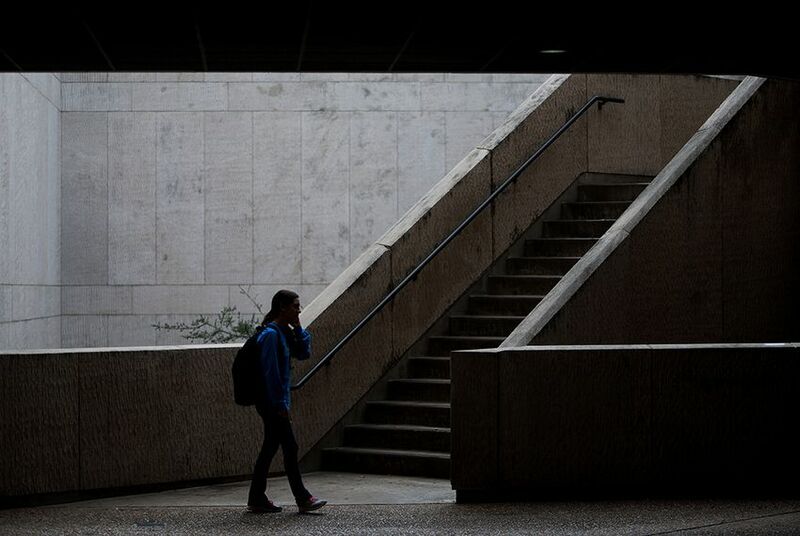 Like many other colleges, the University of Houston has seen an increasing number of students needing mental health services. Its counseling center has been creative in meeting the growing challenge. But Ngo and her staff have their hands full. In recent years, the university has experienced an increase in the number of students needing mental health services. In September 2012, the number of students going to the counseling center was about 47 percent higher than the same month in the previous year. The trend isn’t unique to the University of Houston. Ngo spoke with The Texas Tribune about how her institution was handling the growing need days before the issue of mental health services was recently thrust into the national spotlight with the fatal shootings at a Newtown, Conn., elementary school. Despite a supportive administration at the UH, Ngo said, the influx of students requiring services and a tight budget have presented a major challenge and required the center’s staff to rethink its strategy. A similar tale is being told at colleges and universities around the country. Ngo hypothesizes that there are multiple factors driving the trend. Perhaps the primary reason, she said, is that society as a whole is experiencing more stress. It is also possible that portrayals of counseling sessions on popular television shows, such as The Sopranos, have helped spread awareness of therapy’s benefits. She also noted that there are many students dealing with issues that, in the past, may have kept them out of college but that can now be managed. In the survey of center directors, roughly three quarters said a growing number of students coming in for counseling were already taking psychiatric medication. The counseling center has had to change gears to meet the growing challenge. “You have to always be creative and innovate,” she said, noting that innovations only go so far with limited personnel. The center currently has nine full-time clinical staff members, and the university has approved the addition for two more in fall 2013. In 2012, the center served more than 1,440 clients. The university's total enrollment is about 40,000 — and growing. "We have a responsibility to these students, but we also know that we’re human beings, too, and prone to burning out if we keep at this pace without additional help,” she said. One of the new initiatives at UH that Ngo said has seen positive results is a program that originated out of Cornell University called “Let’s Talk.” Rather than waiting for students to come to the main counseling center, the initiative, which launched at UH in 2011, calls for counselors to hold regular hours in the residence halls and athletic centers. A student does not have to belong to a particular residence hall to drop by for an impromptu session. Some higher education institutions with a “Let’s Talk” program are able to have separate staff just for that, but Ngo said that was not currently an option at UH, where counselors must put in time in both the residence halls and the main center. “We’re reaching out, trying to cross some barriers where students who would not be comfortable coming in for traditional counseling are comfortable dropping by for study tips or quick consultations,” she said. Other initiatives at the university include efforts to enhance the ability of the faculty and staff to identify students in need and refer them to the proper place for help. The school also offers regular sessions on topics ranging from suicide prevention to discussions about social media. Heading into the legislative session, aside from providing more resources for higher education, Ngo said lawmakers could help by using their public platform help to break down the stigma of mental health. Most students who come in for counseling sessions are dealing with common issues, such as difficulty adjusting to campus, stress-induced anxiety, depression or relationship issues, Ngo said.